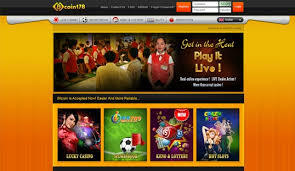 Coin178 is a brand of Lucky89 Casino and Resort and focuses on providing a realistic gaming atmosphere. Designed with simplicity in mind, players are able to select the main options from the top menu including sections for gaming and betting. Aimed at the Asian market, the site has been designed using black, grey and gold to give the site an impressive look. 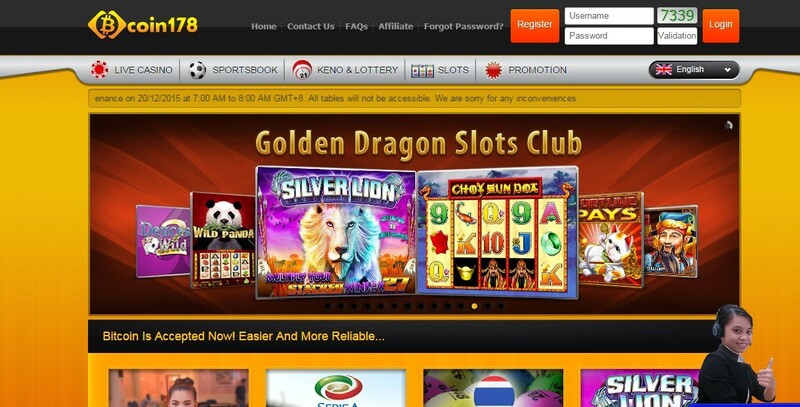 Coin178 has a wide range of casino games including slots, keno and live dealer games. In addition, Coin178 also provides players the ability to bet on lotteries and bet on their favourite sports. The sportsbook offers players a huge selection of sports to bet on with different betting options for those players who love to bet. 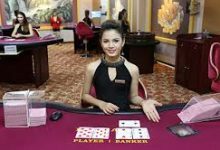 All sports betting and casino games are available to play on PC, tablet and mobile, and can be downloaded for Android and Apple devices. 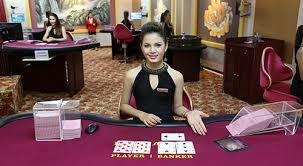 Players at Coin178 Casino have to deposit using a local bank in Malaysia, Thailand or Vietnam, or using Bitcoin. Processing of withdrawals is usually completed within 20 minutes and Bitcoins should reach the players account within 24 hours. The minimum deposit and withdrawal amount is the same at BTC 0.012. Support is provided 24/7 and can be provided over telephone, email or via their live chat window accessible from the bottom right hand side of the screen. Their excellent support team provide prompt and clear responses to queries from their players, earning a high rating of excellence in January 2018.